The new office for kwp! Advertising is an adaptation of a 1980's cinema and an 1880's theatre flytower in an Adelaide West end back street. The cinema had been used as a warehouse and consisted of a large volume with no windows and a sloping concrete floor. 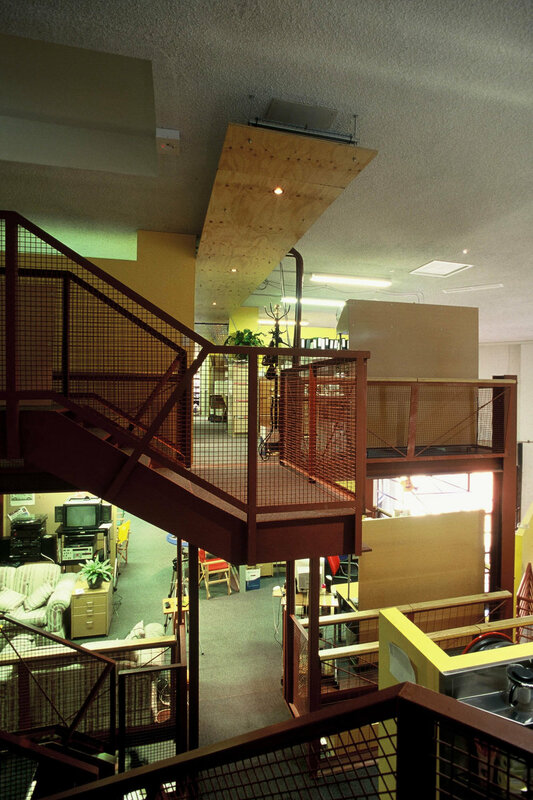 Into this volume, Flightpath inserted a there-storey steel-framed open sided box utilised as flexible office space. 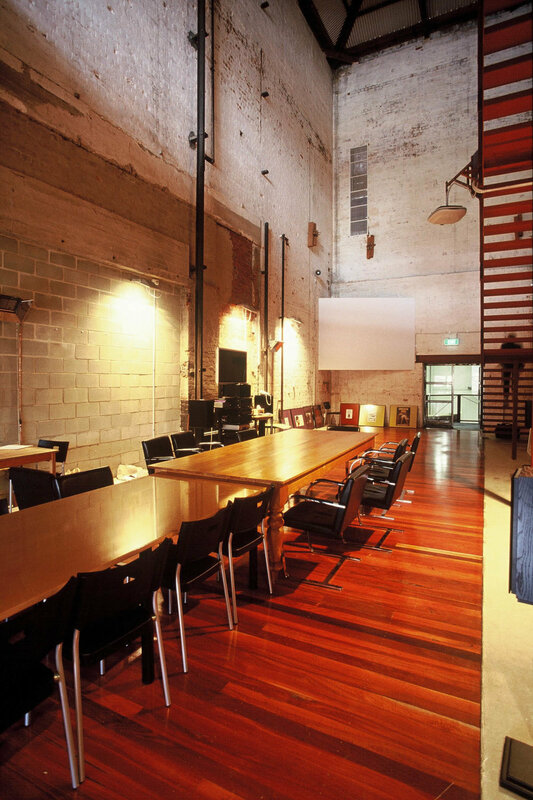 The flytower was converted to a new meeting room/function room space with a mezzanine space hung at the top of the lofty space. Voids of various proportions separate the steel box from the work space box and meeting rooms lining the walls of the original cinema. Each area is connected by a series of stairs and walkways that provide viewing points of the busy agency at work. The few remaining reminders of the cinema were retained and emphasised. the other half of the old cinema complex is the new studio and offices for the Adelaide Symphony Orchestra, also by Flightpath Architects.